Most Saturday mornings I’m up around 7, so I can get to the farmers’ market before it’s overrun. This past weekend, I set the alarm for 6, much to DP’s disgruntled surprise. “Why are you getting up so early?” he grumbled. “We’re going to see the new baby today,” I responded, in my best “duh” tones. 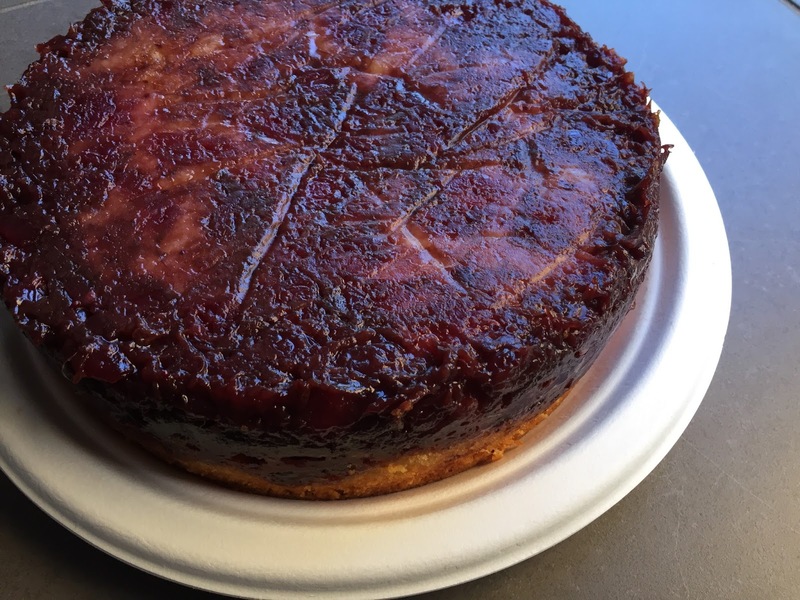 - this Upside-Down Polenta Plum Cake from Melissa Clark’s Cook This Now – I substituted a mixture of cranberry and peach jam for the plums. All of the above were well received, and I even got some baby-snuggling time, so that's a win-win in my book on etiquette and enjoyment.